Holy Fire Japan: Only in Japan: Manga Rules! Only in Japan: Manga Rules! In Japan, the home of the popular cartoon form "manga" aka "anime" we see classic hero characters abound. When I used to live in America, Japanese manga was gaining popularity on television, DVD and in the movies. Now there is a strong demand for it in the USA, but it is still nothing compared to Japan. There are so many varieties of stories, characters, villians, and heroes that I actually lost interest in "manga" altogether since coming here. However, as my children are growing up I am once again exposed to manga and cartoons again. It makes me realize the impact it has on Japanese society. The manga pop-culture rules in Japan. From Pokemon to One Piece to Dragonball most people know these stories and characters better than I know my own country`s comic book heritage. 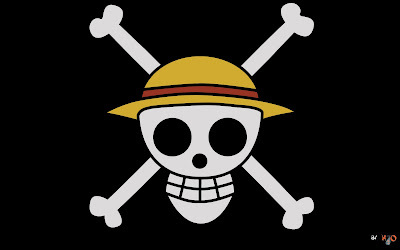 It is surprising that Manga even influences fashion, casinos, advertising, department stores, convenient stores, and the entire entertainment industry I see many people wearing clothes with One Piece characters or symbols. And these people are adults!! If you are interested in Manga,this is one that I have been following recently, but there are literally hundreds more. When it comes to entertainment MANGA rules in Japan! Hi Steve, Thank you for another great article. Where else could anyone get that kind of information in such a perfect way of writing. I love good manga as much as I love good American or European comics. Dragon Ball and Monster are among my favorites. For now, I'm still following Naruto and One Piece. manga's are too good not to read, i like the pic you inserted,"strawhats pirates!